Transitions are in the air. Summer is fading fast as the temperatures were in the low 80s, the humidity was low and the school buses were on the roads. 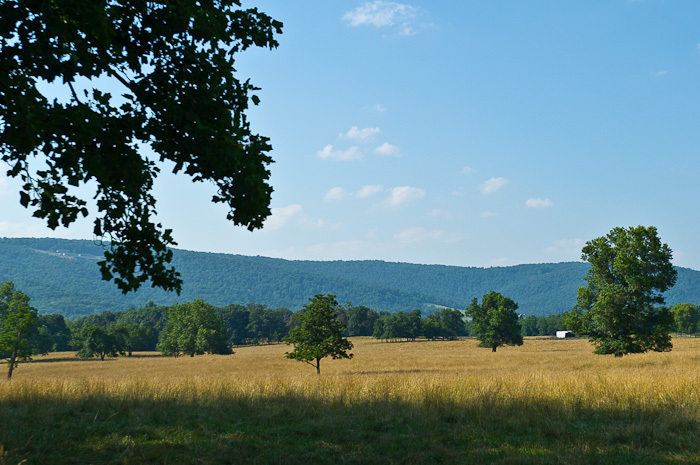 So, this last day of August seems like a good time to step out of my typical blog posts for a special post that’s long overdue. 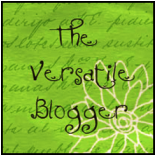 Back at the beginning of the summer, fellow blogger Patti Ross bestowed upon me the Versatile Blogger Award. As Patti wrote in her blog, Learn Something Everyday: These awards are given by bloggers to other bloggers. There are some basic rules. First, each recipient needs to identify the one who bestowed the award on him or her–and share extensive thanks. Second, the blogger receiving the award needs to share seven details not readily known about him or herself. Third, the recipient passes the award along to 15 other bloggers. Fourth, be sure to alert the new award recipients they are winners! Receiving one of the awards is a great honor as well as a chance to champion the bloggers each recipient reads and enjoys on a regular basis. Everyone gets a chance to broaden their interactions. So, this is a belated thank you to Patti and an opportunity for you to learn a bit more about me. While this isn’t a topic I would usually undertake, I’ve enjoyed reading other bloggers’ posts so feel obligated to continue on with the tradition. These random tidbits are in no particular order of importance. 1. My first pet was a white mouse named Mr. Chips. I haven’t a clue as to where the name originated, but I used to sit with him on the couch and watch “Sesame Street,” explaining to him all the action unfolding. Our other household pets have included: snakes, tarantulas, parakeets, parrots, dogs and guinea pigs. 2. I have always been an adventurous eater. I consumed my first raw oyster at age 6 and, upon a dare, ate a grasshopper taco just a couple of years ago (it was quite good). My favorite foods are sushi and chocolate. 3. I prefer driving vehicles with manual transmissions because I love the control factor. After many years driving automatic transmission trucks, I was thrilled to discover that my latest Tahoe has the option to shift manually (although the absence of a clutch is still disappointing). 4. I am a magazine addict. I’ve lost count the number of subscriptions I currently receive. My guess would be around 20, not including the magazine I edit (United States Hunter Jumper Association’s In Stride). The topics are wide-ranging. My top seven non-equestrian favorites (in keeping with the theme here) are: National Geographic; Garden & Gun; Audubon; Wired; Time; PDN (Photo District News) and Bark. 7. My first published photo appeared in Bird Talk magazine when I was in 10th grade. A special thanks to my blog follower and dear family friend Lucinda for propelling not only my photography career, but also my lifelong love of magazines, writing and editing. Now, under the terms of this award I’m to also pass this award on to 15 other bloggers. While I do read a lot of other blogs when time permits, I’m not really prepared to provide 15. So, to start, here are five that I enjoy following with others to come. LearnMoreEveryday – Patti Ross – A fun blog where you do explore and learn about a variety of fascinating topics, from whales to smells to community college. I love Patti’s energy for life and learning. Hakan Dahlstrom – Hakan Dahlstrom – Simply beautiful images from a professional photographer in Sweden. Artismysanity – Belen Kundt – A recent college graduate from Argentina who takes beautiful photos and reminds me of the freshness of youth. Visioning – Karen Chandler – A photographer and digital scrapbooker, Karen’s blog includes gorgeous photos of flowers, birds and scenery along with beautiful scrapbook layouts. I hope you enjoy checking out these wonderful blogs and learning a little more about me. Now, back to your regularly scheduled blog posts! Tricia, thank you so much! This will be fun! I made “Freshly Pressed” today too! What a day! So happy you made FP! I really enjoyed my FP experience this spring. It was cool to see all of the comments from all over the world. I hope you enjoy the Versatile Blogger Award, too! Well deserved! Thanks for including me in this list, Tricia. It’s always great for me to find out that people visit and enjoy my blog enough to recommend it to other bloggers. I love being able to share what I create with other people, and it makes me happy that they like it :).